MAZATLÁN, Mexico (Sept. 4, 2008) – Mazatlán Hotel Association invites travel professionals to experience the real Mazatlán through its new Mazatlán Mazters online training program. Featuring interactive study courses and a digital travel library, this free program also offers a dedicated support hotline, educational credits, sales rewards and more. Mazatlán Mazters uncovers the abundant growth, warm hospitality, savory culinary traditions and vibrant heritage of this major destination on Mexico’s Pacific Coast. Known as “The Pearl of the Pacific,” Mazatlán boasts a thriving tourism community. With significant growth and development, the destination presents the best of both worlds. New resorts, gourmet restaurants, golden-sand beaches and dynamic nightlife in the Zona Dorada (Golden Zone) bring a modern flair to the rich culture and charm of the city’s revitalized historic district, Old Mazatlán. This 180-block downtown area is packed with nearly 500 historic buildings. At the heart of the historic district is Plazuela Machado. Built in 1837, this town square bustles today with restaurants, sidewalk cafes, live music, galleries and boutiques. Overlooking the plaza, the revitalized, neoclassical Angela Peralta Theater houses art studios and a theater with performing arts schedule ranging from chamber music to children’s shows and contemporary theater, concerts and dance performances. To enroll in Mazatlán Mazters, travel planners can visit the program’s official Web site at www.Mazatlán-mazters.com. Agents can study 24/7 via a the series of free training courses, including “A Welcome to Mazatlán” and individual resort lessons. Each interactive course features virtual-tour maps of Mazatlán, as well as electronic reference materials that include a full-color, 30-page study guide and extensive insider tips. Students can take notes online, post class bulletins and chat with virtual classmates. For course study questions or technical support, a toll-free hotline is available to provide live assistance Mon. – Fri., 9:00 a.m. – 5:00 p.m. Pacific Time. The Mazatlán Mazters program also features a variety of benefits and exclusive offers. Course graduates will earn continuing education credits from The Travel Institute (U.S.) and Canadian Institute of Travel Counselors (CITC) towards the professional Certified Travel Counselor (CTC) program. Coming in 2009, the “Camarón Credits” sales reward program will award each Mazatlán booking with points toward rewards that can be used, transferred or even sold. Also premiering next year, Mazatlán Mazters immersion trips to the destination and a comsumer lead program generated by The Mazatlán Hotel Association online database. For more information on Mazatlán Mazters or to register for the online study course, log on to the official Web site at www.Mazatlán-mazters.com. Mazatlán is located on Mexico’s Pacific Coast at the foot of the Sierra Madre Mountains. As Mexico’s second largest coastal city, Mazatlán has nearly 600,000 inhabitants. The city is divided into two main areas: Old Mazatlán and Zona Dorada or Golden Zone, with a seven-mile coastal road between the two. Mazatlán has an international sport-fishing reputation. Sites of interest include: the Angela Peralta Theater, Archeological Museum, Republic Plaza, Ocean Museum, Botanic Garden, San Jose Chapel and the world’s second-tallest lighthouse. Transportation is available via the local “pulmonías” or four-person open-air vehicles that have become a symbol of the city. Visit Mazatlán on the World Wide Web at www.gomazatlán.com. 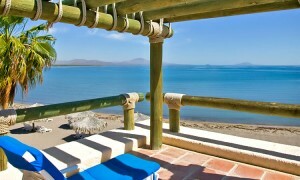 LORETO, Mexico – Loreto Bay, an 8,000-acre, seaside community neighboring the historic town of Loreto in Baja California Sur, Mexico, is offering nightly rentals in its private villa homes starting at $199 a night for one bedroom, $299 a night for two bedrooms and $399 a night for three bedrooms. Rates are based on season and subject to availability at time of reservation. 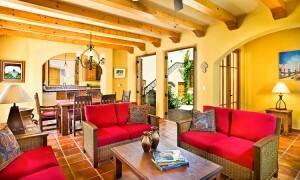 Designed to embrace the distinct heritage of the Baja region, each one-, two- or three-bedroom home, with square footage ranging from approximately 1,200 to 5,000, is furnished with carefully-selected fixtures, appliances and décor that blend modern luxuries with Old World beauty and charm. From colorful Mexican tiles to native desert landscaping, the village homes at Loreto Bay Resort exude all that is Baja, inside and out. 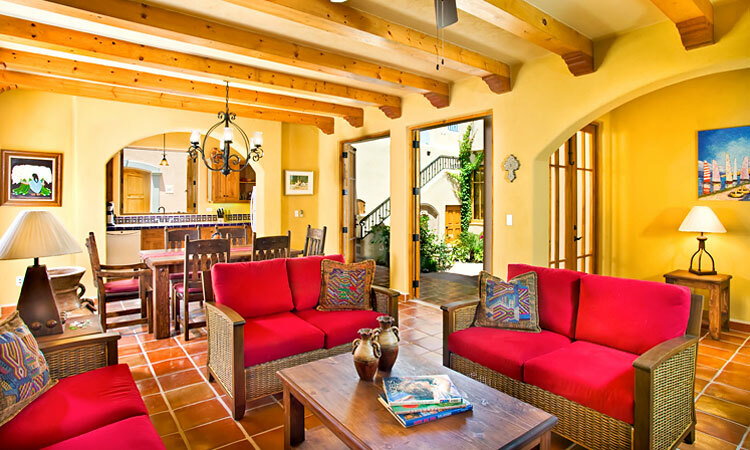 Guests will appreciate their fully-equipped villa, complete with full-size kitchen, indoor fireplace, wireless internet, outdoor courtyard, swimming pool access, rooftop patio for comfortable outdoor seating and being steps away from the beach and the Sea of Cortez. An optional grocery delivery service can also stock guests’ pantries prior to arrival. Some of the homes also feature expansive outdoor kitchens and rooftop terraces with 360 degree views of the Sea of Cortez and the Sierra de la Giganta mountains. Loreto is home to The Mission of Our Lady of Loreto, the first of the California missions and the 300-year-old jewel of Loreto, and is located on the Sea of Cortes, a UNESCO World Heritage Site. The Loreto Bay community includes plans for 6,000 authentic Baja-style homes, mixed-use buildings along pedestrian-friendly streets and 1,500 acres dedicated for a nature preserve. Visitors to Loreto Bay enjoy a wide range of outdoor activities including kayaking, snorkeling, scuba diving, golf and plenty of sunshine. For more news and information, visit www.discoverloretobay.com. For villa reservations and other exciting Loreto Bay vacation opportunities, go to www.discoverloretobay.com or call 1-877-522-9466. Riviera Nayarit, Mexico, September 02, 2008 –(PR.com)– Charming restaurants in tiny fishing villages offering gourmet cuisine by international chefs and authentic Mexican seaside cuisine are the culinary rewards awaiting travelers exploring Mexico’s newest destination, Riviera Nayarit. Just opened in January 2008, the newest gourmet restaurant is the Café des Artistes del Mar in Punta de Mita created by award-winning chef, Thierry Blouet of the famed Café des Artistes and Cocina del Autor restaurant in Puerto Vallarta. One of Riviera Nayarit’s finest restaurants, El Delfin at Hotel Garza Canela, is located in the heart of the sleepy little town of San Blas. El Delfin is headed by chef Betty Vasquez who studied at The Cordon Bleu School of Culinary Arts in Paris and then worked under celebrated chef Juan Mari Arzak of the famed restaurant, Arzak in San Sebastian, Spain. Arzak is a three starred Michelin restaurant that is a regular on Restaurant Magazine’s “Top 50 Restaurants in the World List.” Visitors are also drawn to nearby La Tovara National Park, known for its mangrove forest reserve, bird sanctuary with almost 250 species of birds, crocodiles and turtles. Nuevo Vallarta is Riviera Nayarit’s most developed area and offers world-class resorts and of course, a wide variety of restaurants. Tino’s La Laguna is known for its Huachinango Sarandeado, Nayarit’s most famous dish which is red snapper grilled with lime and savory spices. If you are staying at Grand Velas Resort & Spa, you can dine at one of its two AAA Four Diamond 2008 Restaurants – Luca or Piaf. Kick back and relax in Bucerias which offers affordable inns and bed & breakfast lodgings as well as quality restaurants and bars like Marks Bar & Grill. New Zealander Jan Benton welcomes you to Marks Bar & Grill with its artistic tropical decoration, extensive wine list and a superb menu featuring contemporary cuisine with Mediterranean and Asian-inspired flavors. La Cruz de Huanacaxtle recently unveiled a luxury 400 slip marina named “Riviera Nayarit Marina & Yacht Club” and is expecting further development with the opening of boutique hotels in the future. Whisper it quietly but La Cruz’s Frascati Ristorante is a favorite among Nayaritans. Miramar on La Cruz’s La Manzanilla Beach offers fresh seafood and Sarandeado fish. A little taste of Europe can be found at the Britannia Bar or Black Forest Restaurant with German cuisine. Bohemian Sayulita is a haven for an eclectic mix of surfers, artists and expats so it offers a wide variety of bars and restaurants. Don Pedro’s is the ideal spot to watch the surfers and offers dining under a giant palapa. Don Pedro’s chef Nicholas Parrillo, a graduate of the Culinary Institute of America, prepares Mediterranean specialties with Mexican and Californian influences.